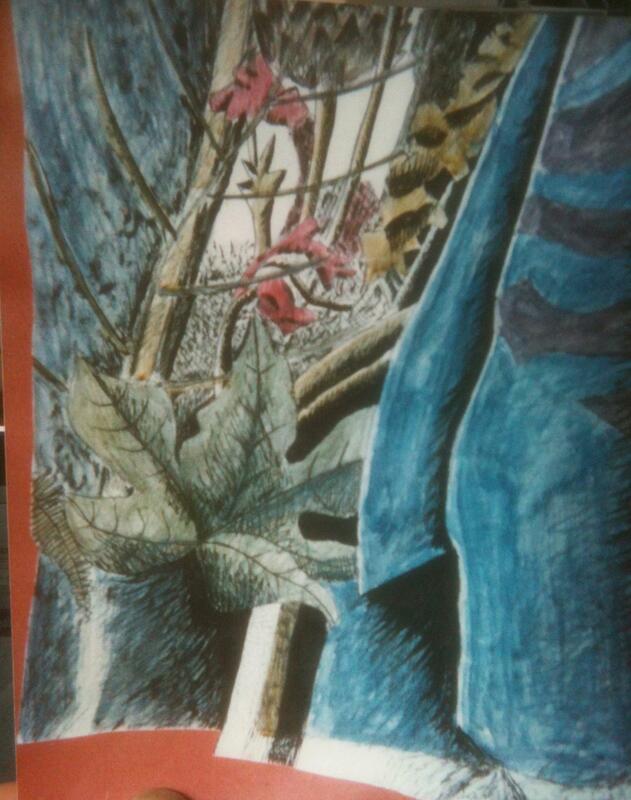 Many moons ago we both drew and painted like crazy. M’s zenith of creativity was a lovingly illustrated hymn book, while S’s – studying at Chelsea School of Art in London – was a series of life drawing studies. She produced so much work we have several portfolios bulging with sketches and paintings. She started young – as can be seen in her portrait below. It’s well known that people come to Las Alpujarras to ‘be creative’ – to write, paint, sculpt and compose music. Others sit around humming next to candles or not talking for four days. So, hoping to reignite our creative juices (which would have to be flammable), we recently bought Sketchpad Pro and iDraw. We do have pens and paper too. 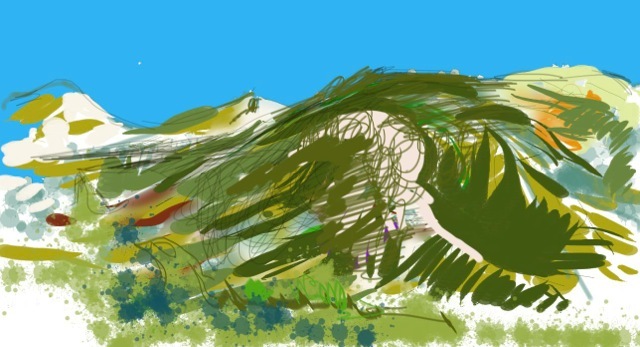 Artist David Hockney began creating works on his iPad several years ago. We have some way to go. We will occasionally post our efforts (you’re lucky the poetry bug hasn’t kicked in yet…). 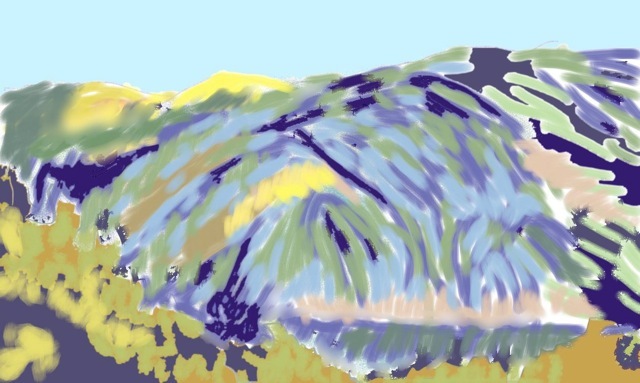 Here’s our first effort – two sketches of the Sierra de Lujár from Órgiva. 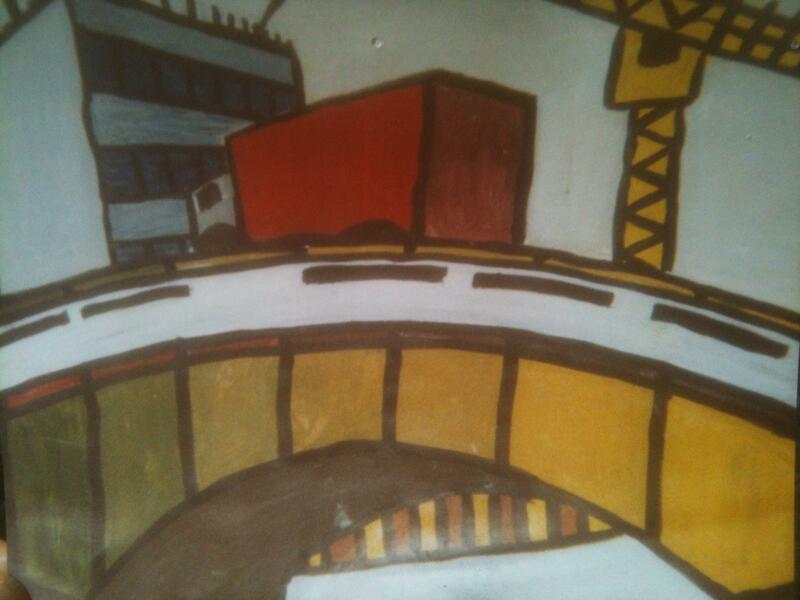 The others are from the early 1990s – can you guess which London bridge features? We’ll pretend they were exhibited at the Royal Academy and charge £10,000 each! We debated this – M prefers it too, S the one below…. Love these 🙂 Keep it up!!! Thanks – we will do….while humming. Nobody’s ‘humming’. They’re just gnashing their teeth in a melodious fashion to conceal their grumpiness.